Parakai School is located in the South Kaipara area of Auckland. We are a semi rural, full primary school with a heart of gold! Through our team of highly dedicated and hardworking staff, our aim is to provide your child with an exciting, challenging and stimulating curriculum and to do so in a caring, inclusive, safe and fun environment. 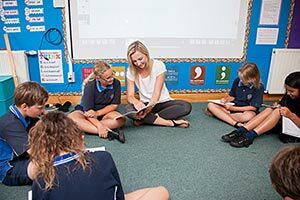 At Parakai School we recognise that we live in a connected world. Our mission is to design a real world curriculum for our students, providing them with learning experiences and opportunities to apply their learning within and beyond the class. While our aim is to develop capable students in the areas of academic learning, the arts, culture and sports it is also our intent to infuse in our curriculum, thinking and social skills which will develop our students as capable, thoughtful and responsible citizens, not just of our local community but of the wider communities we participate in. We encourage and welcome all interested parents to visit and see the school in action.